As 2014 gets underway and the year’s big hitters for awards season start rolling out the doors, there’s still some mopping up of 2013 to be done. Short Term 12, directed by Destin Daniel Cretton, first appeared on UK shores late last year in a sadly limited run. I was unable to catch it at the time, but whispers of greatness left me curious. Then, just when hope of seeing it on the big screen had disappeared, I was fortunate enough to catch it at a one-night-only showing. I nearly didn’t go. It had been a long day and did I really need to see it? Despite being in two minds, I went. I’m so very glad I did, because Short Term 12 is a minor miracle of a movie, and certainly one of the best films 2013 had to offer. 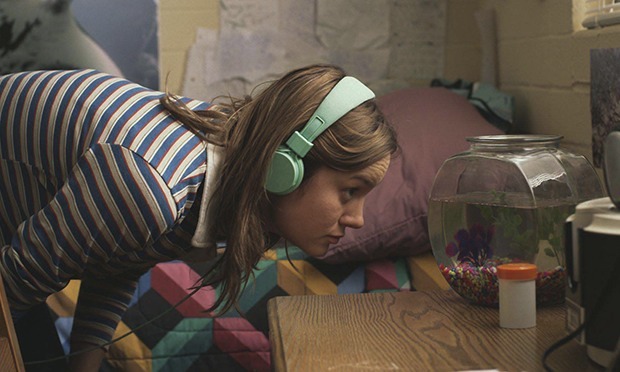 Set amid the troubled lives of a number of foster children at a transitional facility which gives the film its title, Short Term 12 appears, initially, to be the kind of earnest indie ‘dramedy’ that we’ve learned to identify on sight; shabby-chic twenty-somethings, drifting acoustic score, a quirky strain of semi-cynical optimism. Yet the film blossoms into something far more touching and far less mawkish than such swift definitions might suggest. 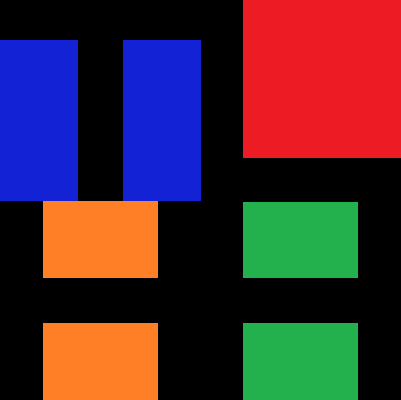 The doctors and therapists are barely glimpsed. Cretton’s film – an elaboration on a short of the same name he made in 2008 – centres on the young men and women working hands on with the troubled kids, checking their rooms for contraband, chasing after runaways, cooling hotheads. At the beginning of the film we meet Nate (Rami Malek). It’s his first day as a supervisor, and so he is our entry point to this environment. Like a deer in headlights he’s evidently not quite prepared for the emotional complexities of what he is about to encounter. And while he helps us find a footing here, it is not his story we’re going to be watching. Instead the focus pushes onto two of his co-workers, Mason (John Gallagher Jr,) and Grace (Brie Larson) and their not-so-secret relationship. Grace discovers she has become pregnant; a revelation which will ultimately stir up many a sleeping ghost from the past, as we slowly learn the extent to which Grace’s chosen line of work is not merely a day job, but something she is poignantly connected to. The kids here are far from anonymous problem cases either. In particular the film takes time to invest in two of them; Marcus (Keith Stanfield) is an angry, tight-lipped young man who finds the prospect of returning home incomprehensible. A gifted lyricist tied in knots of emotion, his volatile attempts to sabotage the inevitable threaten to spiral out of control. His underplayed friendship with Mason allows us a remarkable window into his boiling turmoil. And then there is Jayden (Kaitlyn Dever), a newcomer and recluse for whom Grace has an immediate affinity. As the two thaw toward one another and the extent of Jayden’s mistreatment begins to reveal itself, Grace is compelled to deal with her own buried feelings as sins of the father bubble to the surface. If this all sounds like an abject exercise in the cinema of misery then fear not. Cretton is wise enough to balance the weight of his subject matter with moments of light comedy and tender, heartfelt emotion. Mason and Grace’s relationship is drawn perfectly in a few sweet scenes, making them remarkably sympathetic heroes, despite (or even because of) their defects of character. Indeed on all counts Short Term 12 manages to achieve an incredible balancing act. You expect it to tip over one way or another, but Cretton keeps his plates spinning deftly. A lot of this comes down to some truly remarkable performances. Brie Larson gives the performance of the year as Grace, easily outstripping her competitors in a year that has been generous for standout female lead roles. Both fragile and selflessly brave, Grace is a perpetual cocktail of thoughts, feelings and reactions, held together with duct tape. Larson nails it, creating a wounded hero who commands both our respect and sympathy, even as she threatens to self-detonate. She is, however, nearly upstaged by these astonishing young actors. Both Stanfield and Dever bring white-hot electricity to the characters of Marcus and Jayden respectively. It might sound like hyperbole to hail their efforts as the best young performances I’ve ever seen, but really, few other examples spring to mind that are as good as these two. You want standout supporting performers of 2013? Here’re your deserved winners. They are just incredible. With a subject as sensitive as child abuse, it would be easy to suggest Short Term 12‘s emotional punches were in some way manipulative, that the spikes of hard-hitting drama that permeate this movie are easy targets, but Cretton’s film never makes it feel this way. When they come, the more overtly melodramatic moments feel earned and truthful, lending them the sad weight of realism that marked the most potent tragedies that The Wire had to offer. Short Term 12 deals in similar moments of honest hardships and compromised victories. A deeply human film with an unashamedly large heart. If it remedies it’s bleaker aspects with touches of crowd-pleasing sentimentalism, then these moments too are earned and earned well. Cretton directs with commendable restraint, confident that his actors and the material (from his own script) are powerful enough to maintain our attention without stylistic excesses. Nevertheless, Short Term 12 is a very well photographed film, and as his first significant feature presentation, Cretton should be extremely proud of what he has accomplished here. If the film has a failing, it is perhaps that the story beats land a little too tidily, are a little too telegraphed. Regardless, they work. I’m only sorry that I saw the film too late to include it in my Top Films Of 2013 rundown. It’d have made the top 5 without question. I urge you to seek it out. A true diamond in the rough. 2014 has it’s work cut out.